Hi, I never thought or expected that I would be writing this. But one day, a tragic reality struck us. Our 18 month old son is diagnosed with Leukemia in December 2016. We have been spending all our days in the hospital since then. Lot of blood and marrow test, and more of that every day. He's undergone heavy doses of chemotherapy till now. He's currently undergoing the third phase of the therapy. 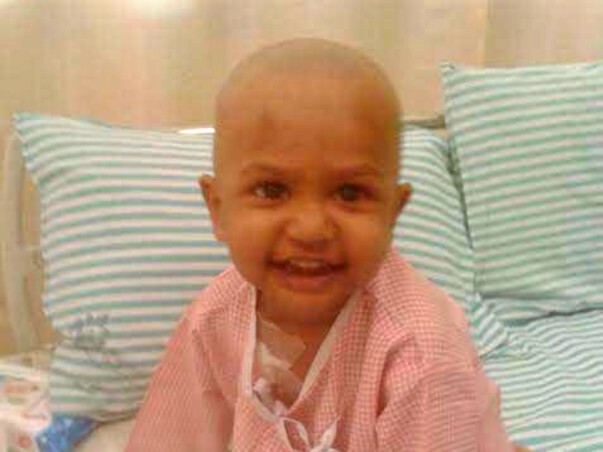 Doctors made it mandatory to have a bone marrow transplant. 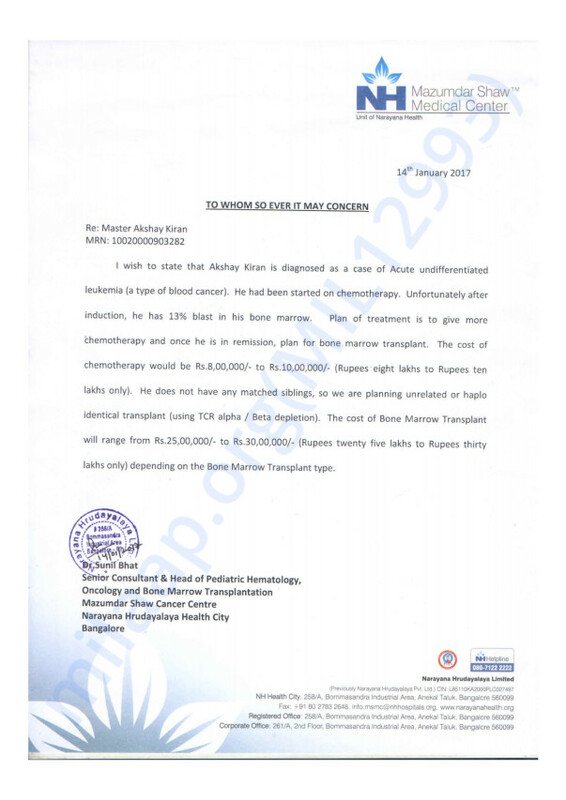 At this point, we have spent all we could have to the medical expenses and treatment, and any help from you will be used toward the bone marrow transplant. Luckily we did find a donor, but the cost of the method is very huge. We are trying all the avenues possible, it would be of great help, if everyone could chip in. Greatly appreciate your kindness. And please pray for Akki to be completely well. You have been with me, supporting my son's treatment. Thank you for coming forward to help us. We could continue Akki's treatment because of all the generous support. With your help, we did what is best for him. But we couldn't save him. He is not with us now. He was showing improvement in the last few days but we lost him. I apologize that we couldn't inform you sooner as we had to take him to our native for the last rites. We will forever be grateful for your support which helped us in a difficult time. Please keep Akki in your prayers.